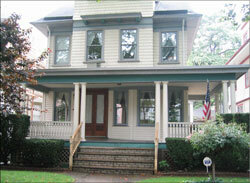 There are now 11 Bed & Breakfasts in Victorian Flatbush and eight of them are in West Midwood (see list). I like to think that’s due to the refreshing winds that blow aloft up here in Argyle Heights, since we are a staggering 38 feet above sea level. But it might also have to do with how delightful it is in our neck of the woods,and the entrepreneurial spirit of our citizens. 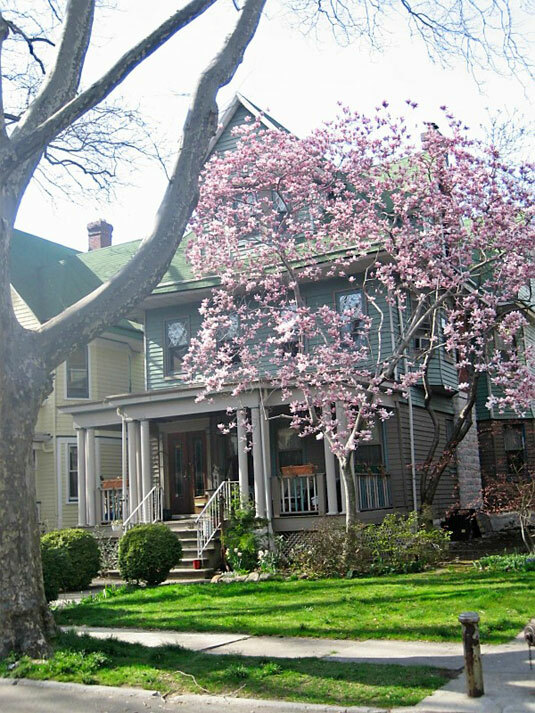 After all, West Midwoodians are descended from a hearty stock, many of whom wandered down the passes of Prospect Park looking for a better life and detached garages. But B&B’s are a fairly recent phenomenon in our Flatbush environs. They started to spring up almost at the same time that hotels spread from Downtown into Brownstone Brooklyn and now there are at least seven chain hotels stretching from the Brooklyn Bridge to the South Slope. 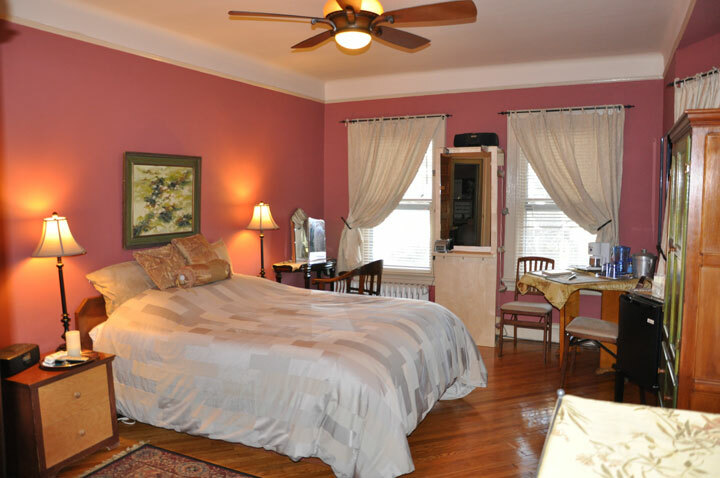 However, for the traveler on a budget,or those visiting family nearby, or those who prefer the peace and quiet and warmth of a friendly host, the B&Bs fill an important gap. For instance, my brother-in-law visits his daughter and three grandchildren on Argyle Road quite often and to avoid being underfoot, especially when it’s time to wash the dishes, or to grab some extra sleep after a long drive, what could be more convenient than renting a room for two nights around the corner? Let’s start with Susan Lehrer, who opened her Dekoven Suites back in 2002 to stave off the financial doom of two steep college tuitions. Many of her colleagues upon first contemplating taking the leap themselves (prompted by empty nests or crushing mortgages), cited Susan’s enthusiasm, innovation, and willingness to help as a major factor in following her into B&B Land. Opening a B&B takes a lot of effort. There is a ton of insurance required, a steep14.75% tax and other fees are collected by THE MAN, and the work is ceaseless, since those continental breakfasts and fresh sheets just don’t appear magically each morning. By the way, just to work in one breakfast tidbit, Jorin and Alexandra Reddish, who just opened The Isabella on Rugby Road, pointed out tome why continental breakfasts (combos of cereal/pastry/fruit/bread/coffee/juices) are the staple of B&Bs: the insurance will not permit cooking meals for guests. So that explains why you’ll never find any omelet addicts wandering our streets. And as for the legality of turning one’s house into a B&B, THE MAN appears to have taken a very sensible stance: as long as it’s not a multiple dwelling, coop or condo, and the establishment does not create a nuisance (e.g., by booking members of the Tea Party and the Socialist Workers’ Party in adjoining rooms),maintains proper insurance and ponies up the taxes and fees, then there is no issue. Susan cited Carolyn Greer with the Brooklyn Tourism office at Borough Hall as a big supporter – she even brings a group of European tour operators through our neighborhoods each year under the theory that seeing is believing.Indeed, looking at the houses that serve as B&Bs in these parts, it would be hard to find better maintained properties – picture post-cards, one and all.Add to that the wonderful hospitality and warm personalities of the hosts, and frankly, considering the far-flung ports of call for the visitors they serve,these B&Bs probably do more to promote Brooklyn tourism than any Madison Avenue campaign ever could (although Don Draper in his prime might have nailed it). Western Europe appears to contribute the most foreign bookings -- UK, Scotland, The Isle of Man, Ireland, Germany, France, Italy, Iceland, Denmark, Sweden, Norway,and Holland were all mentioned (by the way, Bibi and Harry Kisoensing of Bibi’s Garden speak Dutch) -- but visitors from China,Russia, Japan, South Africa, Australia, New Zealand, Canada, Mexico, Israel and Yemen were also cited as contributing to our local economy, as many innkeepers mentioned the boost local businesses receive from their guests, particularly the many new eateries along our commercial strips. And as for why all these out-of-towners are here gobbling croissants each morning, Rob Seidel of The Loralei estimates about a third of his guests are visiting family members, and Trudy Steinfeld at The Blue Porch points out that those relatives reside not only in West Midwood, Ditmas Park, Beverly Square West, Fiske Terrace, and Kensington, but in areas farther north,like Park Slope, Williamsburg, and Fort Green. 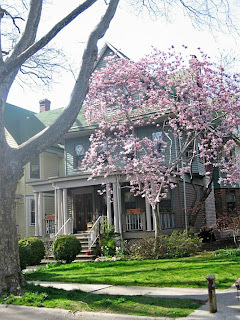 Others are here on business that can range from promoting a book, as one recent guest from Nashville told Sue Fishkin and Michael Hurwitz at Rugby Gardens, to researching a novel set in 1970’s Brooklyn after checking in to Donna Zaengle’s Emilia’s Retreat. While the rich and famous apparently still prefer the Hamptons and the Waldorf Astoria, Victorian Flatbush attracts more of the creative crowd. Rob Seidel hosted the editor of a leading rock music Internet zine; Susan Lehrer welcomed the first trombonist with the Melbourne Philharmonic; Jorin Reddish recently had a record producer from Germany; and Trudy and Paul Steinfeld have booked journalists, computer scientists, medical professionals, and even one rocket scientist. Some of the odder reasons for overnight stays included a Manhattanite who told Sue Fishkin he was going to interview for an important job the next day and absolutely, positively had to have a quiet place for the night to settle his nerves! The most improbable guests were three sailors from Amsterdam who planned to pilot their flat bottom boat around New York Harbor in June 2009 to commemorate Henry Hudson’s discovery 400 years earlier. Arriving at JFK without reservations, they piled into a cab and asked the driver to take them to ahotel, whereupon they found themselves staring at some dump in the Bronx. To the rescue came a little thing called the Internet, where the sailors found Emilia’s Retreat. 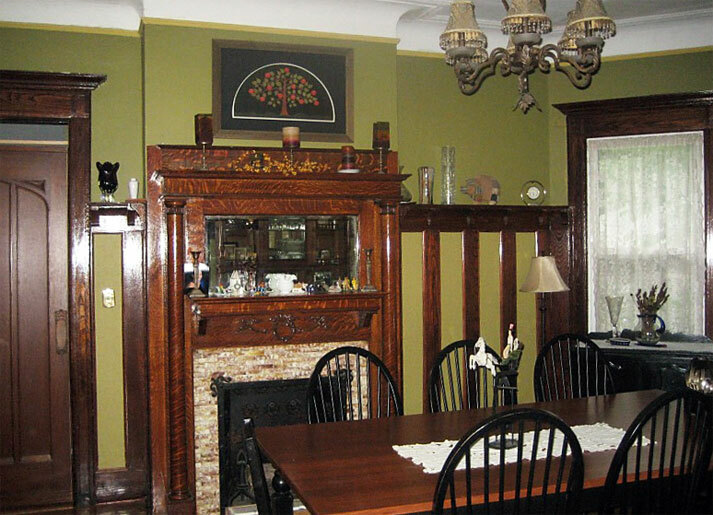 Susan Lehrer organized an effort by the local B&Bs a few years back to get themselves listed in one place and http://www.victorianbb.net/ was the result. They can also be found, along with other newcomers on http://www.bedandbreakfast.com/. Perusing these sites and the individual web pages each of the B&Bs have created or simply Googling their names brings up links to a lot of fantastic reviews on TripAdvisor.com and other travel boards. Anyway,when their craft was late in arriving from Holland, the sailors stayed an extra two weeks thanks to Dekoven Suites squeezing them in, demonstrating another important feature of these businesses: they are able to cross-refer to other nearby B&Bs when they are booked up. The guests from Holland, led by an intrepid gal named Ingrid, were so grateful for West Midwood’s hospitality that they took their hosts on what Donna calls “the most amazing sunset sail around the harbor”. Ingrid has since returned to Dekoven Court, sans boat, with family in tow and photos of subsequent journeys by the Dutch adventurers show up regularly in the mailbox of Emilia’s Retreat. The Coney Island Cyclones (both the roller coaster and baseball variety), Shakespeare in the Park, Fashion Week, 4th of July Fireworks in the Brooklyn Bridge Park – these are among the many New York experiences to which our innkeepers have introduced their out-of-towners. But to really crystallize the difference between a stay at the Brooklyn Marriott and a Victorian B&B, consider that when guests from England wanted to know what a typical American Thanksgiving Dinner was like, they were welcomed by three generations of Zaengles, 30 strong, for their 39th consecutive observance. And finally, Donna recently took a 9 year old German girl trick or treating for the first time in her life down Glenwood Road. Nothing like starting at the pinnacle of the Halloween experience – the West Midwood Parade.